NON-UK CUSTOMERS PLEASE NOTE THE DVD VERSION OF BRING THE HURT IS A PAL REGION-FREE DISC  If you live in an NTSC country please double check your DVD player to make sure it can play PAL DVD Discs. The Global phenomenon now available for the first time as a single complete package. 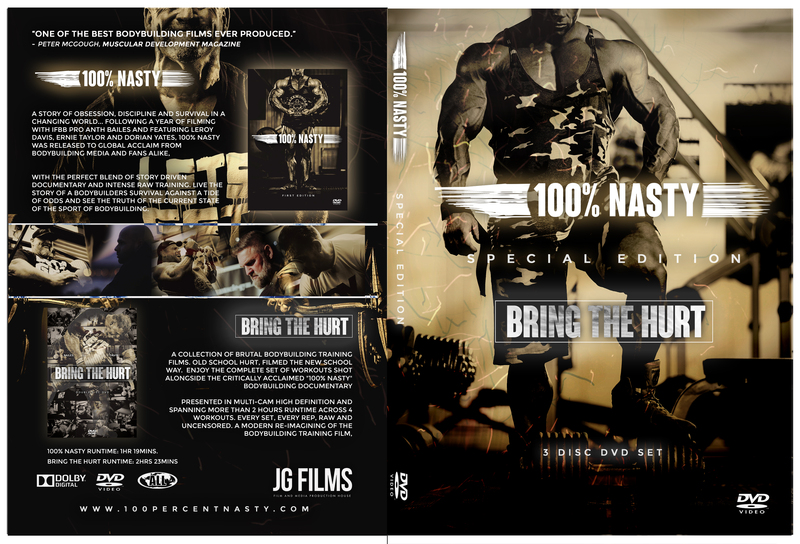 Includes both full releases of the "100% Nasty" feature film and "Bring The Hurt" training collection. "100% Nasty" - A story of obsession, discipline and survival in a changing world... Following a year of filming with ifbb pro Anth Bailes and featuring leroy davis, ernie taylor and dorian yates, 100% Nasty was released to global acclaim from bodybuilding media and fans alike, with the perfect blend of story driven documentary and intense raw training. 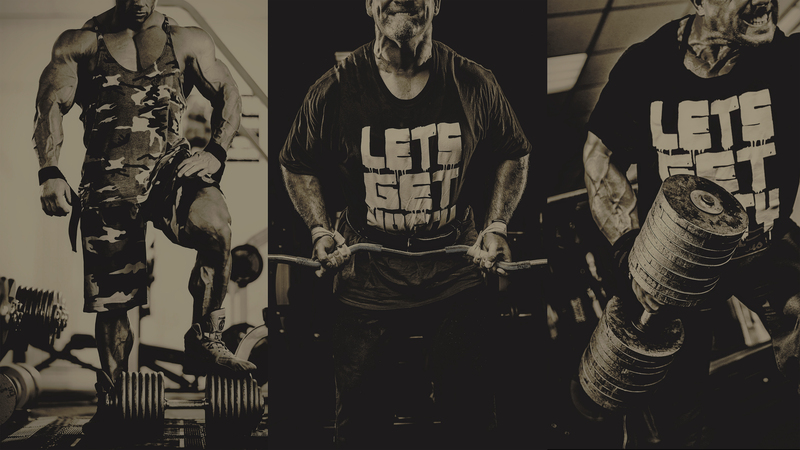 Live the story of a bodybuilders survival against a tide of odds and see the truth of the current state of the sport of bodybuilding. "Bring The Hurt" - A collection of brutal bodybuilding training films. Old school hurt, filmed the new school way. Enjoy The complete set of workouts shot alongside the critically acclaimed "100% Nasty" bodybuilding documentary. Presented in Multi-Cam High Definition and spanning more than 2 Hours runtime across 4 Workouts. Every set, every rep, Raw and uncensored. A modern re-imagining of the Bodybuilding training film. © 2016 100 Percent Nasty. All Rights Reserved.